The oxazolidinones — which include only one approved agent, linezolid (Pfizer’s Zyvox) — are an antimicrobial class with a unique mechanism of action. They are active against severe, resistant gram-positive infections, including those caused by methicillin-susceptible and methicillin-resistant S. aureus (MRSA) and penicillin-resistant S. pneumoniae (PRSP). The oxazolidinones are active against anaerobes and display modest activity against H. influenzae but are not active against gram-negative enterobacteriaceae. The oxazolidinones are available both orally and parenterally and have a bioavailability of 100%. The role of linezolid in community-acquired pneumonia is limited to patients with multidrug-resistant, gram-positive infections (such as PRSP with cross-resistance to other antibiotics). Oxazolidinones bind to a site on the bacterial 23S ribosomal RNA of the 50S subunit, thereby preventing the formation of a functional 70S initiation complex, which is an essential component of the bacterial translation process. No direct action on DNA or RNA synthesis has been observed. Oxazolidinones are bacteriostatic against staphylococci and enterococci and may be slowly bactericidal against other gram-positive bacteria. Linezolid (Pfizer’s Zyvox) (Figure 18) was launched in the United States and the United Kingdom in 2000 and 2001, respectively. In June 2001, linezolid was launched in Japan for the treatment of vancomycin-resistant enterococcal (VRE) infections. Available in injection, tablet, and oral suspension formulations, linezolid is active against infections caused by gram-positive bacteria. 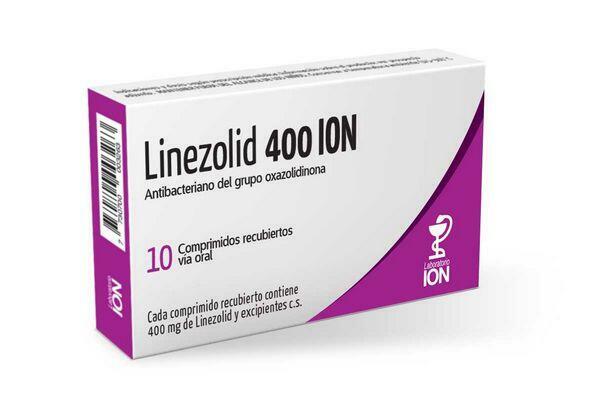 Although approved for use in community-acquired pneumonia in the United States and Europe, linezolid is usually reserved for serious infections caused by multidrug-resistant staphylococci. A randomized, multicenter, open-label Phase III trial of 747 patients with demonstrated or presumptive S. pneumoniae pneumonia requiring hospital admission compared linezolid (600 mg IV, every 12 hours) followed by linezolid (600 mg orally, every 12 hours) with the cephalosporin ceftriaxone (1 g IV, every 12 hours) followed by cefpodoxime (200 mg orally, every 12 hours) (San Pedro GS, 2002). Both test groups were treated for 7 to 14 days. The clinical success rates were 83% for linezolid and 76.4% for ceftriaxone/cefpodoxime. The microbiological eradication rates were 88.7% and 89.9%, respectively. In the subpopulation of patients with bacteremia, linezolid was more effective than ceftriaxone/cefpodoxime: 93.1% versus 68.2%. Linezolid has been associated with hematologic abnormalities (e.g., thrombocytopenia, anemia) that are consistent with mild, reversible, duration-dependent myelosuppression (suppression of bone marrow activity); this effect limits prolonged use. No other significant side effects for the drug have been reported.